Latin American support for the landmark climate agreement signed at the United Nations last week may not have been enthusiastic during the negotiations, but all but Nicaragua seem eager for early ratification and implementation of measures to mitigate the harm of global warming. A record-breaking 175 countries signed the accord in one day, including a number from Latin America, committing them to take concrete steps to keep the increase in global temperatures from rising 2 degrees Celsius (or, ideally, 1.5 degrees) over preindustrial levels. To take effect, at least 55 countries producing 55 percent of global emissions must ratify the agreement. Fifteen small island nations, including several in the Caribbean, already presented their ratification papers last Friday. China and the United States, the two greatest emitters of greenhouse gasses, have said they’ll ratify this year – as have France and other EU countries. The region’s leaders have made significant contributions to the accord over the years. Mexico and Peru, which were hosts of crucial international conclaves leading up to it, have given it a Latin American imprint, and others supported the final round of talks in Paris last December. Brazilian President Dilma Rousseff’s reference in her speech to her political troubles back home overshadowed Brazil’s leadership, including its commitment to reduce its greenhouse gas emissions by 43 percent of 2005 levels by 2030. In the past, ALBA countries complained loudly that the wealthy, developed nations, which produce the vast majority of climate-harming gasses, should shoulder the burden of reducing them and should compensate poorer countries for harm that environmental measures cause them. All but Nicaragua, however, have submitted national plans (called an Intended Nationally Determined Contribution, INDC) required for full participation in international efforts under the Paris Accord. Nicaraguan Representative Paul Oquist told the media that “voluntary responsibilities is a path to failure” and that wealthy countries should compensate Nicaragua for the $2 billion cost the measures would entail. Latin America has clear incentives to support the accord. Various scientific studies underscore the impact of global warming on the region, with potentially dire consequences. The World Bank and Intergovernmental Panel on Climate Change have reported that failure to act would cause further extreme weather threatening agriculture; rapid melting of Andean glaciers that provide much-needed fresh water; erosion of coastal areas; catastrophic damage to Caribbean coral reefs; and dieback of Amazon forests. ALBA demands for compensation may be overstated but contain a grain of truth – they aren’t prodigious producers of greenhouse gasses – and skepticism that the big guys will meet their targets isn’t entirely unwarranted. President Obama has repeatedly demonstrated his personal commitment to addressing the problem, but obstacles posed by the U.S. Senate (which must ratify the agreement), Supreme Court (which in February stalled implementation of his Clean Power Plan), and politicians seeking the Republican Presidential nomination (who have sworn opposition to deals like the Paris Accord) have all but shut down U.S. movement toward ratification. The ALBA outliers, on the other hand, have made their complaints heard and appear likely to join the rest of Latin America and the Caribbean in pushing for ratification and quick implementation – and probably will soon renew the push for even tougher measures by industrialized nations. The announcement by Presidents Obama and Castro of their intention to normalize diplomatic relations could leave a big hole in the agenda of the Community of Latin American and Caribbean States (CELAC), which met January 28-29 for its third heads of state Summit in San José, Costa Rica. Raúl Castro kicked off last year’s summit, in Havana, with a speech decrying the United States NSA spying scandal. In San José, he moderated his tone, noting that “our America has entered a new era” since CELAC was founded (2010) while also calling on the U.S. to end the trade embargo – a point other member states echoed – and to return the naval station at Guantanamo Bay. 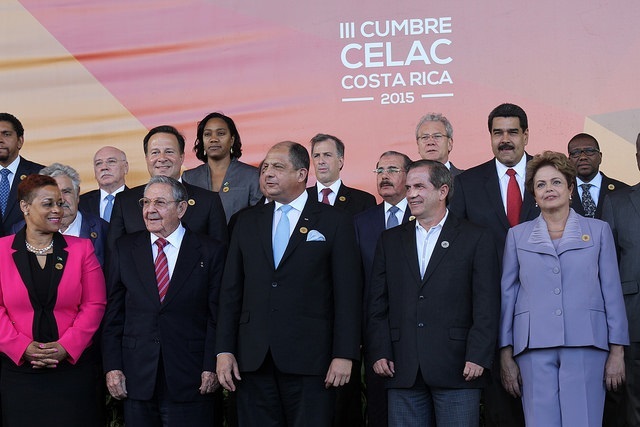 In concrete terms, the results of last week’s CELAC summit were modest. The technocratic goals of quantifying progress on poverty and technology development announced by Ecuador, the group’s 2015-2016 President Pro-Tempore, suggest no major changes are imminent. Since President Chávez’s death March 5, 2013, the former leader’s Bolivarian vision of Latin American and Caribbean integration and unity has shown signs of weakening. CELAC now faces even tougher challenges defining and defending its identity and mission beyond the creation of a common political space for regional decision making insulated from the U.S. and Canada. With Chávez’s successor, President Nicolás Maduro, losing support amid economic crisis, the Alianza Bolivariana para los Pueblos de Nuestra América (ALBA) can no longer throw its weight around on the international scene. Cuba’s inclusion in the Summit of the Americas – increasing the likelihood of its participation in the OAS – is a major achievement but represents the loss of a major rallying point. Going forward, three issues will determine the group’s trajectory. The Cuba issue won’t go away suddenly, but rapid change in U.S.-Cuba ties could reset hemispheric relations – and leave CELAC’s mission muddled and potentially irrelevant. Disagreement among CELAC members over issues such as Puerto Rico’s status may create tensions, as they did when Nicaraguan President Daniel Ortega gave the island a high profile during the presidential plenary – underlining the risks inherent in the “unity within diversity” principle embraced by CELAC. (Ecuadoran President Correa, another ALBA supporter, chided Ortega.) But perhaps the biggest determinant of the group’s future relevance lies in its emerging relationship with China. A CELAC-China foreign ministers forum met in Beijing last month, formalizing the Asian nation’s relationship with CELAC. The forum announced the 2015-2019 China-CELAC cooperation plan calling for the doubling of two-way trade and the increasing of Chinese investment in the region to $250 billion. Exclusion of the U.S. and Canada may remain a tenet of CELAC’s platform, but the group’s leaders may judge that its long-term relevance can be rescued by reaching out to China instead. *Michael McCarthy is a Research Fellow with the Center for Latin American and Latino Studies. 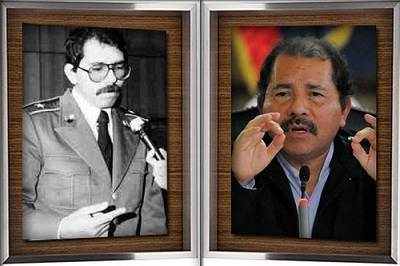 Daniel Ortega’s political rebirth has produced a remarkable partnership with the Nicaraguan business sector. Thirty-five years ago, when he and the Nicaraguan revolutionaries ousted dictator Anastasio Somoza, a U.S. ally known for corruption and human rights abuses, they clashed with the business sector, the Catholic Church leadership, and a heterogeneous band of counterrevolutionaries armed and financed by the Reagan administration. Ortega lost elections in 1990 but made a remarkable return to power in 2007, ushering in the “second phase of the Sandinista revolution.” Unlike during his first term, he undertook to collaborate with COSEP, the Nicaraguan association of business chambers, and gave its members, perhaps more than any other group, regular access to high-level officials and a palpable voice in shaping legislation. According to José Adán Aguerri, the current president of COSEP, 77 out of 81 of the Ortega government’s economic laws have been produced in dialogue with the business association. These involve wide-ranging negotiations on minimum wage increases, tax reform, housing development, social security expansion, investment incentives, and other issues. This partnership has contributed to economic growth and direct foreign investment. The World Bank reports Nicaragua’s economic growth was 5 percent in 2012 and 4.6 percent in 2013, compared to 2.6 percent and 2.4 percent for the Latin American region as a whole. According to CEPAL, foreign investment in Nicaragua reached $849 million in 2013, a level that was second only to the $968 million reported for 2011. Nicaragua’s investment promotion agency, ProNicaragua, documents strong investment in tourism, agribusiness, textiles and outsourcing services. The extractive sector is also growing rapidly. Responding to strong commodity prices and a cordial reception in Nicaragua, Canadian gold mining company B2Gold recently announced a planned investment of $289 million to expand its operations in La Libertad. Nicaraguan investors have developed new initiatives, including a major tourism project orchestrated by Carlos Pellas, the country’s richest man. The relationship has benefited from the ALBA agreement Ortega signed with Venezuela President Hugo Chávez in 2007. Venezuela assistance has totaled $3.4 billion in loans, donations and investments in the 2008-2013 period. These funds regularized Nicaragua’s precarious energy supply and subsidized transportation, housing, microcredit and public sector wages, providing a general economic stimulus from which elites also benefitted. Announcements of a projected $40 billion investment in an interoceanic canal reinforce the image of a new development era in Nicaragua. The business-government relationship reflects mutual accommodation by Ortega and business leaders. Nicaragua lost several decades of economic growth during the 1980s and the “contra” war, so upon his return to power Ortega put a premium on promoting growth, tread lightly on issues of tax reform, and eagerly pursued foreign investment. He met repeatedly in closed sessions with business leaders and called for a “grand alliance” of government, business and workers to combat poverty, promote investment and create jobs. A formal consultation mechanism brought together leaders from COSEP and the government, such as Bayardo Arce and Paul Oquist, for regular policy discussions. Offering a stable economic environment and generous investment incentives, a non-conflictual labor force with the lowest wages in the region, a relatively low crime rate, and receptivity to business initiatives, Ortega won over business allies. The business interests of current and former Sandinista leaders, some affiliated with COSEP, reinforced the collaboration and helped convince a new generation of business leaders to put aside traditional hostility and preoccupation with injuries of the revolutionary 80s. They accepted the government’s legitimacy and bolstered its domestic and international credibility. Enthusiastic about the growth of the Nicaraguan economy, economic elites also downplayed lingering questions about deficits in democratic institutionality and accountability. But the heightened concentration of political power under Ortega and the weakness of other state institutions mean that economic rules are vulnerable to shifting political winds, and questions remain whether this development approach will resolve the problem of widespread poverty. Even as the government-business relationship warms and the economy grows, these social and political concerns continue to bedevil the country. *Dr. Spalding is a professor of political science at DePaul University. The dream of Caribbean solidarity has never been in greater peril. Norman Girvan, who died on April 9, was committed to the cause of Caribbean integration all his adult life, including during his time as Secretary-General of the Association of Caribbean States. Born and raised in Jamaica, he saw no contradiction between Jamaican nationalism and Caribbean solidarity. After steady progress from CARIFTA (a free trade area formed in the 1960s by a number of former British colonies) to CARICOM (a customs union formed in 1973 by all British ex-colonies and many colonies) to a commitment starting in 2006 to build a Caribbean Single Market and Economy (CSME), regional integration has gone backwards. The CSME was never completed; a ‘pause’ in its implementation has been introduced by the Heads of Government and the famous Regional Negotiating Machinery (RNM) – itself formed to promote Caribbean unity in international agreements but then largely dismantled. Suriname (in 1995) and Haiti (in 2002) have joined CARICOM, but the Dominican Republic is still outside after 25 years of discussions. Cuban membership is still a distant dream, and the only non-independent state that participates today is the British colony of Montserrat, with a population of 5,000. CARICOM may in theory represent much of the Caribbean population, but Haiti – its largest member by far – is not in the CSME. Countries outside the Caribbean have reacted in very different ways to the region since the end of the Cold War. The European Union (EU), three of whose member states – France, Holland and the United Kingdom – still have territorial ties to the Caribbean, has negotiated an Economic Partnership Agreement (EPA) with CARIFORUM (CARICOM plus the DR) that will in due course give the EU unrestricted access for almost all goods and services. The agreement has generated very little enthusiasm in the CARIFORUM states despite the improved access for some of their goods and services in the European market. Venezuela has persuaded most oil-importing countries to join Petrocaribe, but only a handful (Antigua & Barbuda, Cuba, Dominica, St. Lucia and St. Vincent & the Grenadines) have been attracted by the more ambitious ALBA. The United States, a colonial power itself in the region thanks to Puerto Rico and the Virgin Islands, still offers asymmetrical trade privileges through the Caribbean Basin Initiative (CBI) and its related acts, but some of these provisions will end in 2020, and it is far from clear what will replace them. Canada, which established CARIBCAN (similar to the CBI) in 1986, is negotiating its own version of the EPA with a broadly similar set of countries, but the negotiations have stalled recently. Only China appears to have made huge advances in the region through increased exports and major foreign investments despite several of the countries that still recognize Taiwan. All integration schemes, as Norman Girvan would have been the first to recognize, involve a balance between widening and deepening. Through its premature commitment to a CSME, the member states of CARICOM took deepening too far. At the same time, widening – necessary to negotiate with outside powers – has not gone nearly far enough. It is a scandal that the Dominican Republic remains outside and that so little has been done to embrace Cuba despite the good political relations all states have with the island. And the non-independent territories, as numerous as the independent states, should not be overlooked. France and the UK have dropped their objections to closer ties between their territories and CARICOM, and the Dutch territories are largely autonomous already. Even the U.S. territories would welcome closer links. And when relations between Cuba and the United States are normalized, as could happen quite soon, it would be in the Caribbean’s interests to have fully embraced Cuba first. That is an outcome that Norman Girvan would have strongly welcomed. *Dr. Bulmer-Thomas is a professor at the University College London Institute of the Americas, fellow (and former director) at Chatham House, and author of numerous books, including The Economic History of the Caribbean Since the Napoleonic Wars (2012). Venezuelan President Nicolás Maduro is proof that being anointed successor by one’s patron on their deathbed isn’t adequate preparation for governing effectively or consolidating a revolutionary legacy. Although being Hugo Chávez’s man got him into office, it obviously hasn’t been enough for Maduro to stem growing economic, political, and crime problems. One element behind these protests is a widespread perception – including among some supporters of chavismo – that Maduro is a pale reflection of his benefactor and not up to the task of leading Venezuela. Chávez hand-picked him in a hasty and half-hearted manner, and he didn’t bequeath to him a coherent set of policies, practices, or institutions that could ensure the continued advance of the Bolivarian Revolution. Maduro inherited a state that was so weak institutionally and so dependent on Chávez personally that the jury remains out as to whether he has the capacity to keep all the pieces of Chávez’s legacy intact. The Venezuelan president’s rocky road reflects the difficulty of the renovation of political leadership across ALBA nations. Rather than nurture successors capable of carrying forward the transformations begun by founding leaders, one president after another has followed Chávez’s lead in dealing with the future by focusing primarily on extending their terms of office. This past January Nicaragua’s national assembly cleared the way for Daniel Ortega, president since 2007, to run for a third term in 2016. Ecuador’s Rafael Correa likewise won a third consecutive term in 2013. Last May Bolivia passed a law allowing Evo Morales to run for an unprecedented third term in 2014. In none of these cases has the leadership sought to build the credentials of potential successors in the presidency, in stark contrast to what Luiz Inácio Lula da Silva did with Dilma Rousseff or what Ricardo Lagos did with Michelle Bachelet. This phenomenon is not unique to left-leaning governments – Alvaro Uribe and Alberto Fujimori, for instance, suffered similar temptations –, but it seems endemic to the ALBA governments and is particularly troubling to the extent that these are instances where the leadership aims to effect wholesale, lasting societal transformations through its enduring control over the state apparatus. There is a distinctive sort of hyper-presidentialism emerging throughout the ALBA nations. Chávez, Correa, Morales, and Ortega’s concentration of power in their own personas makes it particularly hard for future leaders to emerge. Their political projects embody aspirations for fundamental societal transformations. In that sense, they can reasonably be categorized as what the Italian political theorist Antonio Gramsci would label as historic projects, and even revolutionary ones. But if a transformative, historic project fails to develop leaders and launch them into positions of growing responsibility and power, it is unlikely that it will succeed over the long run. Lula could transfer power to Dilma, Lagos could do so with Bachelet, Tabare to José Mujica, and so on. This is what made possible the conversion of eight-year projects into 16‑year projects, and so on. The PRI, in Mexico, managed successions for seven decades, and presumably is poised to continue along that road now that it has regained the presidency. Yet for some reason the ALBA governments have not taken this step. Their leaders have angled toward caudillismos that have a medium-term appeal, but that almost certainly cannot be the foundation of a decades-long project for changing societies in need of transformations that they themselves articulate. While their frequent successes in displacing traditional elites and thwarting well-financed oppositions are impressive, it is striking that they fail to build political institutions and leaderships capable of carrying on their own visions and political projects after they pass. The ALBA presidents may calculate that dismantling the ancien regime is legacy enough, but history may judge them harshly for delaying the emergence of more effective and enduring institutions, and of leaders who can push their projects forward for many administrations to come. During his campaign for the U.S. presidency, Republican Mitt Romney referred to Russia as the United States’ number one geopolitical foe, but in the Latin American context he and his fellow conservatives have focused much more on another perceived competitor – Iran. Alongside China and the EU, Russia has indeed taken greater interest in Latin America in the past decade, investing in energy, selling military hardware, and even offering an alternative to Washington’s counternarcotics programs. But Romney and major elements of his party have given more attention to the newer, more enigmatic go-to threat of Iran and its former president, Mahmoud Ahmadinejad. 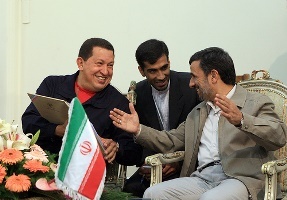 The 2012 Republican Party Platform warned that Venezuela had become “an Iranian outpost in the Western Hemisphere,” issuing visas to “thousands of Middle East terrorists” and providing a safe haven to “Hezbollah trainers, operatives, recruiters, and fundraisers.” This past spring, former Assistant Secretary of State Roger Noriega told a Congressional committee that Hezbollah was working alongside the Sinaloa Cartel to fund and organize terrorist activities. He claimed the organization had infiltrated the Venezuelan government so the Iranian government could launder money through Venezuelan banks to avoid international sanctions. The Obama Administration has not dismissed entirely the negative impact that a country like Iran can have in Latin America, if nothing else by encouraging political leaders to sustain their anti-U.S. rhetoric campaigns. But the Administration has not subscribed to the right wing’s exaggerations about Iranian activity and indeed is seeking pragmatic agreements with Iran to resolve a series of concerns about its activities, particularly its nuclear program. A handful of members of Congress led by Rep. Ileana Ros-Lehtinen (R-FL), former Chairman of the House Foreign Affairs Committee, have accused the Obama administration of putting politics over national security by failing to challenge Venezuela and other Iranian allies, though the political advantage the president supposedly achieves with such a policy is unclear. Some xenophobic nationalists on cable TV believe the Iranian activities are part of Islamic imperialism, which poses a threat to Western civilization. Others see the threat as being embodied by Barack Hussein Obama, accusing the administration of hyping the Iranian issue as a pretext to justify the expansion of a U.S. military presence in South America. Today’s paranoia about Latin America is different from during the Cold War years, but only in the identity of the villain. Latin America’s role in the new narrative remains unchanged: it exists primarily as a base of operations for foreign enemies of the United States that must be monitored and pressured to ensure U.S. national security. While the rhetoric of ALBA leaders and their efforts to establish friendly relations with regimes like Iran fuel such paranoia, Washington would be wise to respond to actions rather than empty rhetoric. Fortunately, the Obama administration appears to be doing just that. The reforms parallel ideas presented by OAS Secretary General Insulza in his “Strategic Vision of the OAS” on December 2011 (updated in March 2013) striving for concentration on four main pillars: democracy and conflict resolution; human rights; development (in association with the Inter-American Development Bank); and security (mainly against drugs and organized crime). He also advocated limiting a single state contribution to 49 percent without reducing the OAS’s total budget. The Secretary General embraced similar reforms when the legislation was first introduced by then-Senator Kerry in the previous Congress. 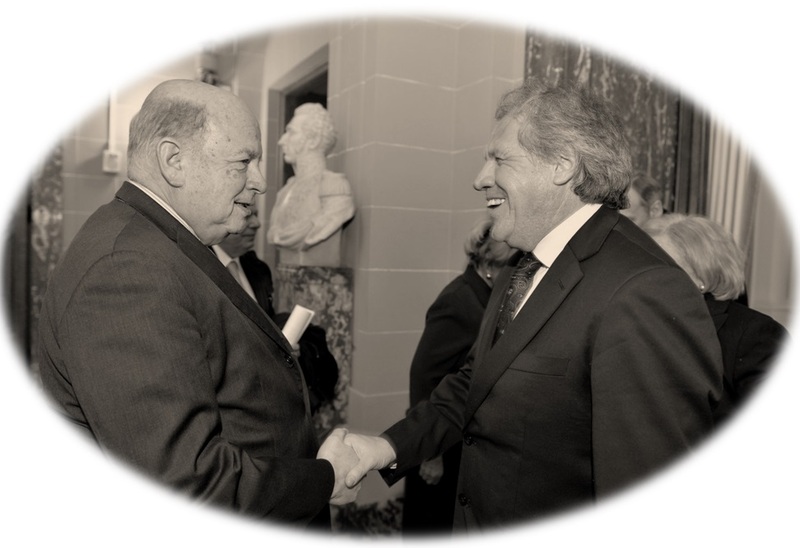 Agreement that the OAS needs reform is nearly universal, but any strategic transformation will have to take into account important developments among the Latin American international organizations. The OAS handily accommodated the creation of subregional organizations such as SICA and CARICOM in the past. But new bodies – such as UNASUR, CELAC and ALBA – have posed new challenges to the organization’s relevance and effectiveness. 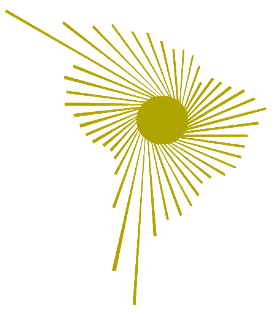 Differences among the organizations have emerged over trade, democracy (different value attributed to the independence of powers and to press freedom, as well as of handling of crises in Venezuela, Honduras, and Paraguay), security (withdrawal of five countries from the Inter-American Treaty of Reciprocal Assistance), the strategy against drugs, and relations with the United States. The organizations have also created new arenas for leaders to meet, at times taxing governments’ ability to keep up. From 1990 to 2012 there have been 272 Latin American regional and subregional summits, including eight Summits of the Americas. When Secretary Kerry delivers his plan, it will be difficult for him to strike a balance between bringing the OAS more in line with Washington priorities, as laid out in the legislation, and seeking a bigger tent that addresses some of the concerns that gave rise to the plethora of competing organizations. ALBA’s Future: Continuity or Break Down? The death of Hugo Chávez last March and the increasingly severe economic dislocations inside Venezuela have raised serious questions about the sustainability of the Bolivarian Alliance for the Peoples of the Americas (or ALBA). Born out of an agreement between the Venezuelan and Cuban governments in 2004, the alliance was intended as a response to the U.S. goal of a Free Trade Area of the Americas (FTAA), as well as a vehicle for Chávez to project his Bolivarian vision for Latin American solidarity around a socialist project. The regional bloc won its first symbolic battle at the Fourth Summit of the Americas in 2005, where Argentina, Brazil, Uruguay, and Paraguay definitively halted negotiations led by U.S. allies to create a single hemispheric free trade area (excluding Cuba, of course). Over time, ALBA and its oil-based extension, Petrocaribe, have had a significant impact on economies in the region, providing crucial underpinning for presidents who signed on to Chávez’s vision for ideological or pragmatic reasons. Among the greatest beneficiaries have been the Castro government in Cuba and the Ortega government in Nicaragua, which have received petroleum in exchange for food, in the case of Nicaragua, and doctors and teachers, in the case of Cuba. Ecuador and Bolivia, along with several states in the greater Caribbean, have also become key players in the ALBA network. Venezuela’s leadership of ALBA, frequently described as “petro diplomacy,” has repeatedly come under fire from the country’s political opposition and from government critics in other ALBA-friendly nations. The critiques in Venezuela rarely acknowledge the degree to which petro diplomacy has been a recurring feature of that country’s foreign policy, most notably during the governments of Carlos Andrés Pérez in the 1970s and 1980s. Critics inside Venezuela and beyond frequently accused Chávez of building dependent clientelistic networks with countries desperate for energy resources. However, ALBA activities have transcended ideological divides, a fact demonstrated by Misión Milagro in Colombia, where Cuban doctors indirectly supported by Venezuela provide medical services in conflict zones. If Chavez’s oil and charisma initially defined ALBA’s possibilities, the alliance has also fostered economic ties and investments among member countries, independent from Venezuela. Though the election of Nicolás Maduro as Chávez’s successor might appear to guarantee political continuity, lacking Chávez’s charisma, Maduro might not be able to continue Chávez’s level of oil-fueled investment in ALBA. Public spending in Venezuela continues to increase dramatically, with the fiscal deficit at 9-12 percent, inflation exceeding 40 percent, and the scarcity of dollars contributing to shortages of basic consumer goods. To sustain its financial backing for ALBA, Maduro will have to stabilize the economy at home lest he lose the popular legitimacy — no simple challenge. Following the Twelfth Presidential Summit of ALBA in July, the presidents of Ecuador, Bolivia and Nicaragua joined Maduro in reaffirming their shared commitment to a socialist project in the region and a desire to maintain the international exchanges initiated by Chávez, suggesting that the alliance will not disappear at least in rhetoric in the medium term. It is possible, however, that Maduro’s leadership will be challenged. After the airplane in which Bolivian President Evo Morales was traveling was not allowed to land in France and Portugal this summer, he proposed creating an ALBA army and convening another anti-imperialist summit. Recently re-elected Rafael Correa of Ecuador has also hinted he might want to lead ALBA. Without Venezuelan oil and sweeteners like Petrocaribe, it’s hard to see how ALBA will amount to more than a platform for personalistic agendas. In Washington last week many events recalled the bloody coup of September 11, 1973, which overthrew the Popular Unity government of Chilean Socialist President Salvador Allende and ushered in a dictatorship that, even by South American standards of the time, stood out for its brutality. Discussion about “the other September 11” highlighted the human cost of the coup, the role of U.S. government agencies in undermining Chilean democracy and encouraging the military’s actions, and the memories of the coup and dictatorship that remain deeply embedded in Chile today. These and similar gatherings around the world and in Chile featured demands for the full truth about the dictatorship’s crimes – the fate of some thousand of the disappeared remains unknown today, according to the Human Rights Observatory of the Diego Portales University – and to hold those who committed them fully accountable. We can now see three large sets of consequences that the Chilean coup had far beyond its borders. Political: Across Southern Europe, it reverberated powerfully, undermining the confidence of sectors of the Left that believed fervently a socialist transition could be effected through victory at the ballot box. After the coup, Eurocommunists in Italy and Spain came to believe that victory would require an alliance with Christian Democrats or other centrists, lest a coup coalition akin to that in Chile bring down democracy altogether. 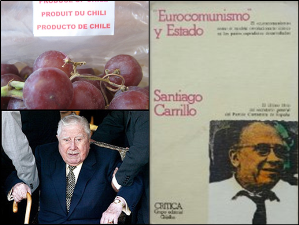 For much of the Latin American left, the Chilean experience would over time prove a wake-up call, alerting those aspiring to turn the world upside down that democracy was not a mere bourgeois luxury and suggesting that “second-best” options – more gradual change –were preferable to maximalist goals that would likely jeopardize democracy. Economic: The coup paved the way for “neoliberal” policies that would shake the foundations of conventional thinking about development for nearly three decades. They were prescribed across Latin America. It would not be until the emergence of ALBA in the mid-2000’s that the region would again witness a faith (however misguided), in the capacity of import-substitution and inward-oriented redistribution to achieve lasting economic advance in the region. U.S. policy: Finally, the coup set in train levels of violence and human rights abuses so abhorrent that they drove major changes in U.S. human rights policy and international jurisprudence. In the United States, advocacy organizations, progressive majorities in Congress, and the Carter Administration introduced unprecedented legislation aimed at preserving democracy and curbing human rights abuses. Well beyond Washington, numerous international regimes put in place to combat impunity were motivated and influenced by what had taken place in Chile and the imperative of ensuring that it not happen again. Just as the cataclysmic event that took place in the U.S. on 9/11/01 opened the door to extreme and ongoing changes felt around the world, so too did the Chilean tragedy that began on 9/11/73.